Your favorite picture of the grandchildren looks adorable when set inside our Personalized Picture Frame for Grandma. These Personalized Gifts For Grandma are great for birthdays, holidays, Mother's Day and more! Each Grandma picture frame comes in three sizes, please choose from, 4"x6, 5"x7" and 8"x10". Easel back allows for desk display or can be wall hung. Grandma picture frame includes FREE personalization! 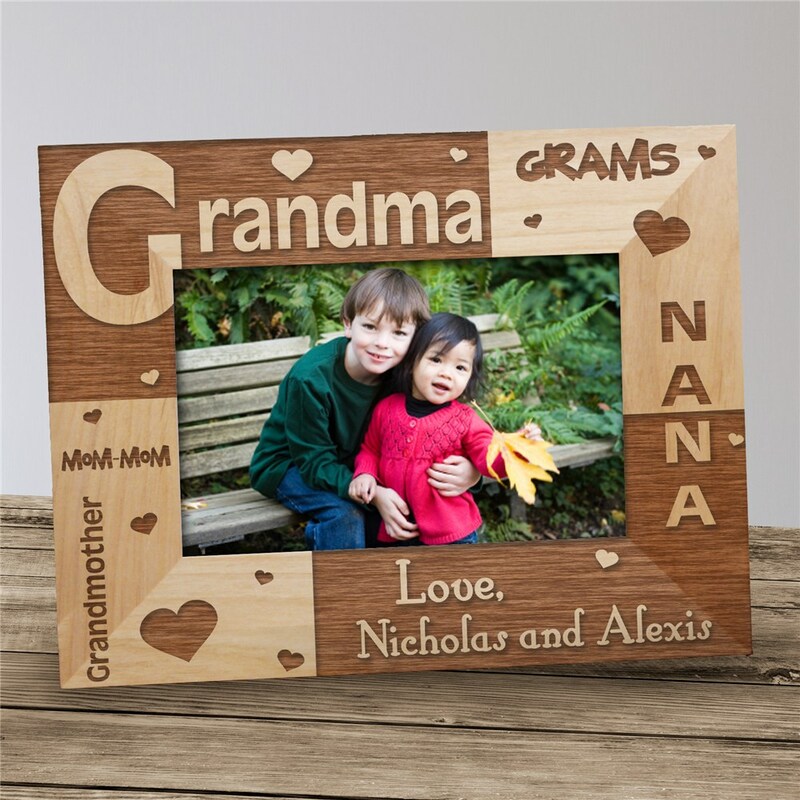 Our wooden picture frame makes a great Personalized Gift for Grandma anytime of the year. Our Personalized Picture Frame for Grandma can be personalized with up to 6 names. More than I expected. Couldn't find anything like it in any retail store. Very satisfied witht he product!